The open exhibition of our Letterpress Reimagined project is up and running, open every day until October 28th, from 12-4pm. 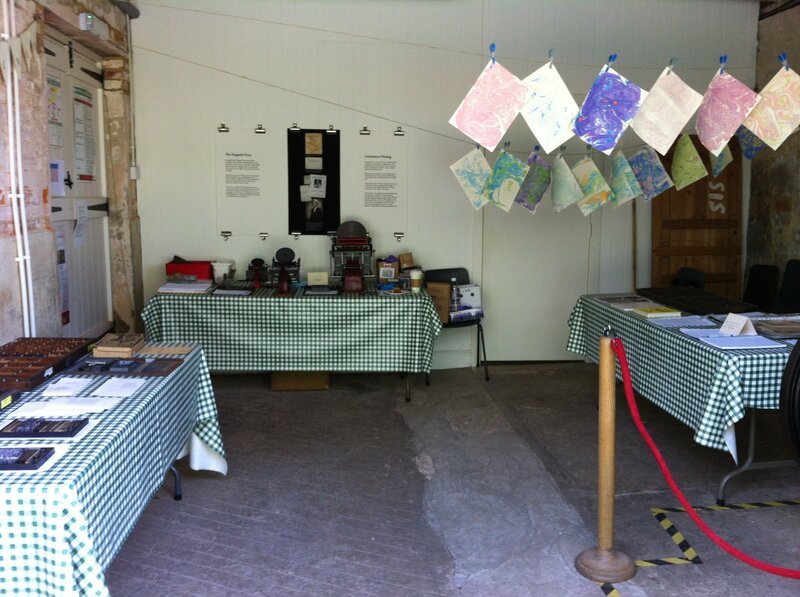 Visitors can spend time reading about the project – the hand typesetting, printing and proofing carried out by the volunteers, as well as seeing examples of the poem in progress. The Minerva press used in the project is also in situe, and the volunteers manning the exhibition can offer a demonstration of the press in motion. Towards the back of the exhibition room, three hand presses are set up, so visitors can have ago at letterpress printing themselves! ← Poem Printing – Update!